Key Difference: In Christianity, the two terms generally mean the same thing. They both refer to people that have a leadership role to guide and advice people regarding their spirituality. In the Roman Catholic Church, the bishop is an office where they are responsible for looking after a group of churches and congregations. Religion is confusing enough without also having to deal with bifurcations and hierarchy as well; and this is exactly where bishops and pastors come in. 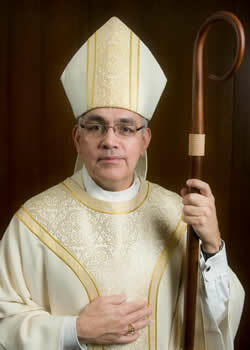 Both, bishops and pastors are titles and roles held in the church. The difficulty in differentiating between the two terms comes from the fact that the term ‘bishop’ has two different meanings. In Christianity, the two terms generally mean the same thing. They both refer to people that have a leadership role to guide and advice people regarding their spirituality. Both bishops and pastors tend to look over a church, where they provide sermons and guidance to their congregation. In fact, the literal meanings of these terms reflect this. 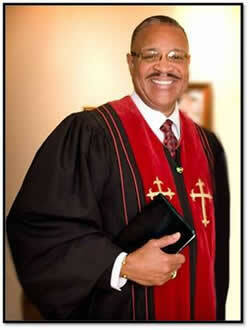 The term ‘pastor’ comes from the Latin noun ‘pastor’ which means "shepherd". The term refers to the Latin verb ‘pascere’ which means "to lead to pasture, set to grazing, cause to eat". It draws a parallel from the teachings of Jesus Christ where the people were designated as a flock of sheep, and Jesus appointed Peter as the ‘pastor’ by telling him to "Shepherd My sheep." The term bishop, on the other hand, has a similar meaning. The word is an English derivation of the Greek term, ‘epískopos’, which translates as "overseer" or "guardian". The term is originally used in the New Testament of the Greek Christian Bible. In the Roman Catholic Church, the bishop is an office where they are responsible for looking after a group of churches and congregations. Within the Roman Catholic Church, the office of the bishop is part of a hierarchy through which the Catholic Church is governed. The general members of the church, i.e. the laity are led and governed by Priests and Deacons, who in turn are led and governed by Bishops, who rely to the Archbishops, who reply to Cardinals, who are led and governed by the Pope, who is the head of the Roman Catholic Church. The Roman Catholic Church believes that the bishop ‘holds the fullness of the sacrament of holy orders and is responsible for teaching doctrine, governing Catholics in his jurisdiction, sanctifying the world and representing the Church.’ According to Catholic teachings, bishops can trace origins of the office of bishop to the apostles, who it is believed were endowed with a special charism by the Holy Spirit at Pentecost. This special charism is believed to be passed down from bishops to bishops. Bishops are collectively known as the College of Bishops. Bishops also feature into the hierarchy of a number of other churches such as Eastern Orthodox, Oriental Orthodox, Anglican, Old Catholic and Independent Catholic churches and in the Assyrian Church of the East. To look after a congregation. As part of the hierarchy, they would also look after the priests and their congregations within their allocated region. Comes from the New Testament of the Christian Bible Greek ἐπίσκοπος, epískopos, "overseer", "guardian"
Comes from the Latin noun pastor which means "shepherd" and relates to the Latin verb pascere - "to lead to pasture, set to grazing, cause to eat".